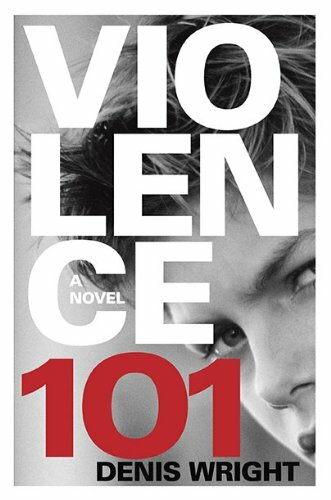 Fourteen year-old Hamish doesn't simply do terrible things, he is committed to the belief that violence is the solution to the obstacles in life. But Hamish is also extremely smart, and extremely self-aware. And he considers everyone around him-the other institutionalized boys, his teachers and wardens, the whole world-as sheep, blindly following society's rules, unaware of what really dictates our existence. Hamish's heroes, like Alexander the Great, understood that violence drives us all. Denis Wright lives and is an English teacher in an inner city high school in Wellington, New Zealand. Gr 8 Up–New Zealander Hamish Graham is in his third institution–this time for violent offenders. Not only has he attacked other youth, but he also has attacked staff and a therapist. From a “good” family, Hamish could be labeled a genius and/or a sociopath; he has no qualms about his violent behavior, and, in fact, he elaborately and convincingly justifies it. The book alternates chapters between staff meetings to discuss Hamish and his lengthy journal entries. The journal provides insight into the 14-year-old's take on staff, group homes, his past, and international history. Obsessed with the normalcy of violence, Hamish studies and writes about leaders such as Alexander the Great and Maori chief Te Rauparaha, and wishes he had been born into a warrior society. What he doesn't expect is to start to care about a staff member. When he escapes the facility on an extreme mission of his own design that will either kill him or provide him with what he's always wanted, the book picks up speed. A lengthy glossary of New Zealand English and Maori terms and information about the country's history and culture are included. This first novel is for those “special readers”–the smart and antisocial ones–like Hamish himself.–Amy Cheney, Alameda County Library, Oakland, CAα(c) Copyright 2010. Library Journals LLC, a wholly owned subsidiary of Media Source, Inc. No redistribution permitted.